The following is a rough list of what I’ve read over the last several years. Favorites are marked with a *. As I add more books, I’ll link to my reviews. 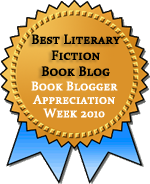 THANK YOU for your comment on my blog about Bouchercon. I hadn’t even notice Laurie R. King’s name on the list – I’ve read one of her books and LOVED it! I will definitely be looking to meet her on Saturday night.